A couple of months ago I watched Woody Allen’s Midnight in Paris, which features Zelda and F. Scott Fitzgerald as characters (Played by Alison Pill and Tom Hiddleston). In the film, the protagonist refers to Zelda as being “exactly as we’ve come to know her through everything we’ve read in books and articles. She’s, you know, charming, but all over the map”. I’m mildly ashamed to admit that prior to watching the film, I did not have even the faintest idea of her existence, let alone regarding any of her personality traits. I didn’t really think that much about them again until we went to see The Great Gatsby last week and after having done some reading about the couple. 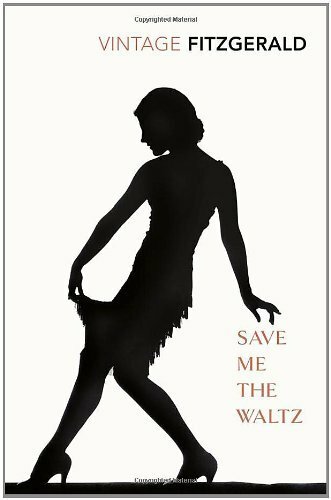 Then, I discovered that one of the Waterstone’s in Edinburgh had a table dedicated to Scott’s books (including about five different covers of Gatsby, which is just unnecessary), beside which was another table showcasing (I think) classics that featured Save Me The Waltz. 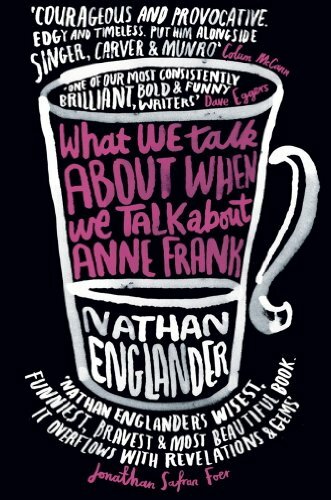 Another collection of short stories, and yet another book that is at least ostensibly about Judaism. Apparently the title is a reference to Raymond Carver’s 1981 collection What We Talk About When We Talk About Love, which according to commenters on the Guardian’s review of the book, we should denounce because it’s becoming over-referenced and lazy. Personally I’m in two minds. The story it’s taken from, it fits perfectly, however I’m not sure that it fits the anthology quite so snugly. Everyone at least knows of Catcher in the Rye, even if they haven’t read it, but Salinger’s other works get a lot less praise and publicity in comparison, which I think is quite unjustified. I read Catcher in my late teens, the same age that most people do, but in contrast to popular opinion, I hated it. I couldn’t stand Holden Caulfield, I didn’t think the plot was very good, and though I could see it was aiming for a message, I didn’t approve of it. Was it because I sub-consciously recognised too much of myself in Caulfield? 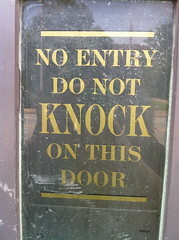 Possibly, but at the time my opinion was that the famed denounced of ‘Phonies’ was just a hypocrite. 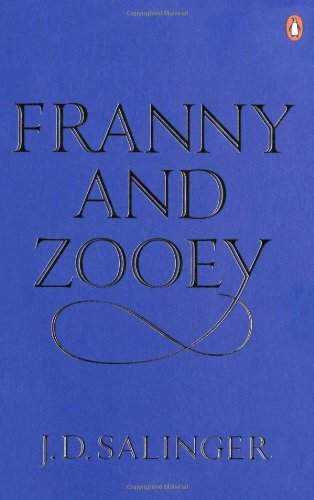 The only reason I decided to read Franny and Zooey was because Jeffrey Eugenides references it fairly frequently in The Marriage Plot, which got me curious, so I decided to give Salinger another chance. I’m glad I did. I enjoyed The Amazing Adventures of Kavalier & Clay, and I loved The Yiddish Policeman’s Union, so I was quite excited to read Michael Chabon’s most recent book, but I was also a little apprehensive, because the premise was quite different. 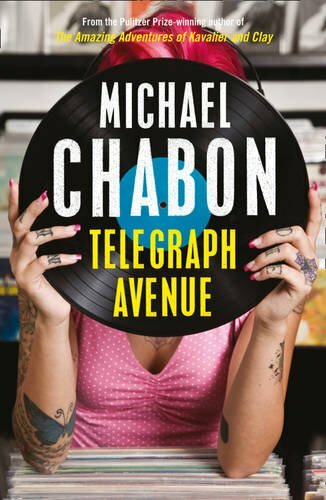 Rather than historical fiction, or science fiction, Telegraph Avenue is just straight fiction. It is a bit more complicated than that, as it has themes ranging from burgeoning teenage homosexuality to race relations via daddy issues and the demise of the independent music shop. This wide range may be why I found myself mildly underwhelmed by the book, it’s just too complicated. Clearly no one has told Ian McEwan that it doesn’t matter what he think’s any more! In an interview with The Guardian last year, the author of Atonement and Enduring Love discussed the teaching of his novels as A-Level set texts. More specifically, the fact he got an inside view into the system when his own son was studying the latter text, and received a low mark for an essay because the tutor disagreed with the interpretation that his father had helped him with. I don’t often read travel writing. It’s not that I’m not interested in the places that are being visited and written about, rather that I’m not entirely interested in reading two hundred pages either gushing about how quaint/authentic/spiritual (delete as appropriate) the place is, or marvelling at the differences in culture between the subject country and the author’s home. 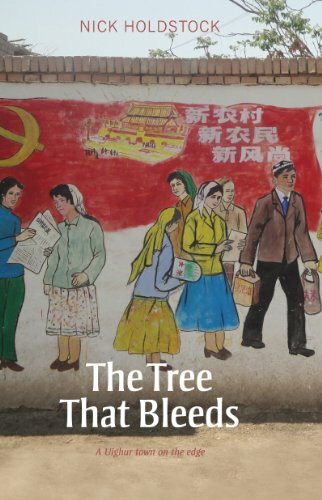 The Tree That Bleeds avoids that for the most part, possibly because rather than a travelogue of a journey taking in lots of locations in a rather superficial manner, the author was resident in a single city (Yining, in Xinjiang Province, China) for an entire year, allowing a more detailed and immersive study of the region’s politics and society, and does so, for the most part, without moral judgement.